The pleasant weather and picturesque landscape of South Island encourage travelers to plan road trip. You can simply hire a campervan, and explore the region at your own pace. 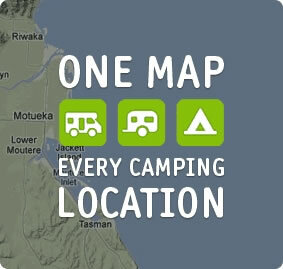 You also have option to choose from a variety of campers provided by the campervan hire South Island NZ companies. Normally, the campervan depots in New Zealand are located near the airports. However, you must book the vehicle in advance to collect it immediately on your arrival. There are also South Island based campervan hire companies like Camperco that offer free local airport/ferry transfers. The facility will make it easier for you to reach the campervan depot, and collect the vehicle without any hassle. However, you must check if the company also offers flexible pick up and drop off locations. Camperco allows customers to choose pick up and drop off locations of their choice. So it becomes easier for them to collect and return the campervan. If you are reaching South Island after a long-haul flight, there are always chances that you may not be able to drive the campervan safely due to jet lag. You can still pick up the vehicle on your arrival, and start the road trip. But it is a good idea to take adequate rest before picking the camper. You can even consider staying in your city of arrival overnight, and collect the vehicle after getting refreshed. You must remember that you have to put some time to become familiar with the features and functions of the campervan. It is always important to know how to operate the shower, sink, toilet, fridge, cooker, DVD player and batteries. Also, you need to learn the most appropriate way to empty the waste water. That is why; you have to spend some time at the campervan depot to learn all instructions required to make your road trip more comfortable and safe.